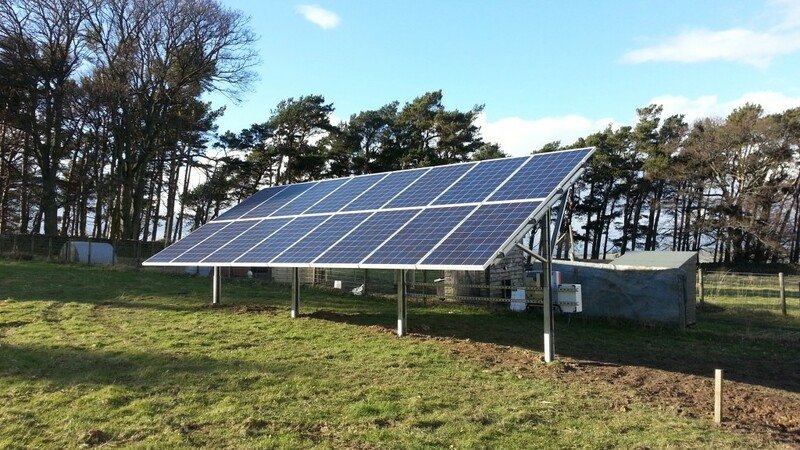 After a couple of months waiting for the planning permission to go through, the installers have worked over the last week or so to get the solar PV panels up and running. The whole set-up is just a bit larger than I had originally envisaged but it’s tucked away out the back and isn’t noticeable from the surrounding area. Who knows, maybe the chickens will be glad of the shade later in the year? Finally everything was declared fully operational last Saturday and even the sun came out to celebrate for the commemorative photograph! I now find myself regularly fighting the urge to check the generation meter every hour or two just to find out how much electricity has been produced. I’ll definitely keep an eye on the figures but I have to accept that the peak production obviously won’t be until later in the year! 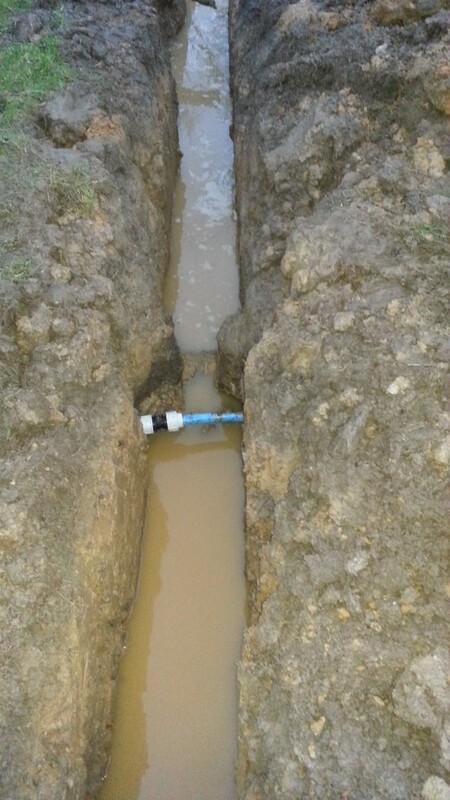 There were one or two minor problems when digging the trench for the supply cable back to the house. It turns out that there are a few water distribution pipes buried under these paddocks which we knew nothing about. These pipes don’t seem to be heading towards any of the existing field taps so we (and the installers) were a bit stumped what they were doing there. On the bright side, at least this was just the spring water supply and the result was simply that the tank was almost emptied. I might have felt differently if it had been the metered mains water but for the moment we aren’t connecting to that and it’s only for emergencies. Wow – they’re quite a size, aren’t they – how many kWs will they give? Are you on mains electricity and if so are you putting this back into the mains? We’re off-grid and currently just have wind (well, until the turbine got destroyed in the winds at Christmas) but we’re planning to get solar. Not sure they’ll be that big though! Will be interested to see how they get on. Our neighbour put up an array like yours and did brilliantly last year – but it was a great summer of course! That is just under 4kW which is apparently some sort of cut-off point for the feed-in tariff – above that size the amount we earn would be reduced I believe. We thought about a wind turbine but decided against it in the wind, especially as solar panels have no moving parts to go wrong! 4 kW is pretty good – we just had a 1kW turbine, which did pretty well for us on windy days. But you’re right, there’s more to go wrong in theory, though our one had been up for 12 years without an issue. Built to withstand 120 mph gusts, so you can imagine how strong the wind was this year! Good luck with it, anyway! Will be interested to see how you get on with the array, very interesting.